I wasn't expecting red puffy eyes and tear stained cheeks when I saw my daughter race into the lunch room last Wednesday. Earlier that morning we had planned our lunchroom date, and she tactfully offered to pay for her own happy meal. Trying to contain my pride I agreed to purchase the happy meal and meet her at school promptly at 12:55 for a mommy daughter luncheon. I anticipated a hug from a giggling second grader, but instead I was embracing a ball of anxiety with her face buried in my chest. “I feel like a coward,” she cried between convulsions, “he said I pushed him, but I didn't!” She continued to explain how the teacher had made her turn her behavior card from green to yellow, and how she felt the teacher was convinced of her guilt. I could hear the worry in her voice, no doubt rooted in the type-a tendencies she has learned from her mother. 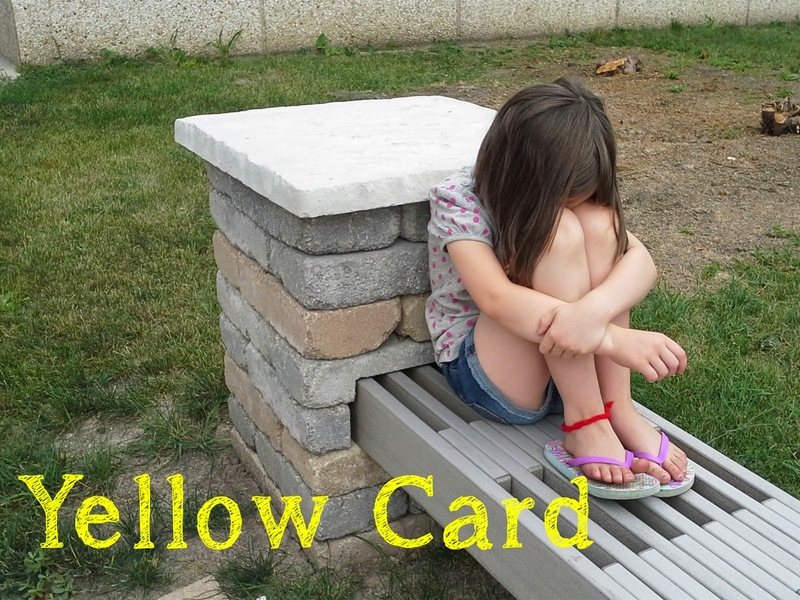 She was accused of wrong doing, her behavior card turned to yellow, and now she was filled with worry over what her friends were going to think when they reentered the classroom revealing her turned card. She has often been labeled by her teachers as a strong role model for her peers and now her pristine reputation has been tarnished with a yellow card, and her heart broken by injustice. I am no stranger to being falsely accused by a boy in second grade, so I knew she was genuinely hurt by this situation. Even though a yellow card isn't the end of the world, I didn't discount her feelings. After all I could relate: one of my few memories of second grade involves a classmate named Sam who had blamed me for the creative scribbles that covered his clothing. I remember sobbing and proclaiming my innocence, but to no avail. Both Sam and I were sent to the principal’s office to sort the matter on hand. My memory is scarred by the principal’s look of disappointment and relentless interrogation that only consisted of a few questions. “Who drew on Sam’s clothing?” “Someone is lying, Amber?” “Sam?” Over and over I stuck to my story and hoped he would fess up to the lie. Our mothers were called and my hope was stirred that he might recant but I also was paralyzed by the fear that my mother might not believe me either. I am not sure how long it took, but sometime later Sam confessed to the crime in question and my good named restored. I shared my story with my second grader and assured her that I believed her. I explained that God was with her and she shouldn't fear what others might think. Then we held hands, bowed our heads and prayed. She survived this episode of tough reality, and I am sure she will experience more disappointments as she gets older. I pray that she not be sheltered by such trials, but instead grow her courageous character through them. She entered that lunchroom facing the fear of uncertainty but she had the courage to lay her heart on the line, even if it meant I might not believe her. The experience of fear and anxiety don’t determine whether one is cowardice or courageous, but rather the choice one makes when facing these overwhelming forces. She felt like a coward that afternoon, but her actions proved otherwise.